"You will be exactly has happy as you decide to be"
Education today is taken for granted; American kids today do not know of a time when children like them had to fight endlessly for basic rights to education. While this first statement is true for kids of all races, the second one is especially true of African-Americans. In the 1930s, the decade following the roaring 20s, America fell into the Great Depression. During this time period, segregation hit a high all across America, especially in the South. Segregation determined where people lived, where they drank water, where they used the bathroom, and essentially all their basic rights. The most horrible and damaging thing segregation did was determine a child’s education. Unfortunately, this was a common thing, too; a children’s race determined where they attended school, and how much they learned, eventually setting them up for either success or failure. According to credible sources, education for African-Americans was hindered due to segregation and discrimination in the 1930s. African-American children who wanted an education were not entitled to receive one due to their skin color. While some of the black population feared school more than anything, there was a brutally brave bunch who wanted to be educated equally to whites no matter the amount of discrimination they received. According to Scalar, “Many felt that such schools protected children against racism and falling behind because of under-preparedness. It was therefore sometimes difficult to get local communities to provide the impetus and support the national office needed for long campaigns against school segregation in the north during this time period” (Stakeman 1). Gaining educational rights was not an easy process due to the idea that children were safer in their segregated school because they were not exposed to discrimination as frequently as they would be in an interracial school. They were then forced to fight even harder for their rights, which is also represented by the website JSTOR. It states, “Hocutt’s effort to enroll at an all-white state university in the South signaled the beginning of an eighteen-year campaign in North Carolina to open the state’s graduate and professional institutions to its black citizens. It also portended a concerted campaign to end segregated education all over the South” (Burns 195). This shows a black man, Thomas R. Hocutt, wanted to enroll in a school to suit his needs at the time for a successful future in the field of work he succeeded in. He, like many at the time, was denied from enrolling in the school because of his skin color, which led to a large campaign that swept the South which strived to end segregational education. While many black children were denied their right to a good education, many courageous people fought long and hard for their rights and eventually achieved their goals. Furthermore, the intense and constant discrimination African-American children faced at school raised fear within their minds. This segregation in the classroom set back children’s education by weakening their desire to attend school. For example, the Library of Congress writes, “They continued to face exclusion and discrimination in employment, as well as some segregation in schools and public accommodations” (LOC 1). Black children were severely discriminated in various places every day, and it unfortunately followed them to school. This constant hatred shown toward them generated fearful ideas within their minds, and an overall negative idea of attending school. According to the website, History, “Although some whites reacted negatively to the spreading protests of 1963, King’s linkage of black militancy and idealism helped bring about passage of the Civil Rights Act of 1964. This legislation outlawed segregation in public facilities and racial discrimination in employment and education. In addition to blacks, women and other victims of discrimination benefited from the act” (Foner and Garraty 1). Laws were passed to improve the conditions for African-Americans in all aspects of public life, including the classroom. While this act certainly improved their legal conditions, the amount of discrimination they received from whites was still dramatically high. The discrimination black children faced at such a young age hindered their education permanently. While there was still a great amount of segregation, great strides were taken to improve the status of African-Americans, therefore boosting their equality and lowering the amount of discrimination they faced every day, especially in the classroom. They began at rock bottom, and slowly but surely climbed up the social ladder significantly. 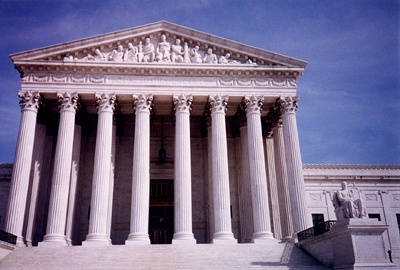 The website History writes, “Even after the Supreme Court declared that public school segregation was unconstitutional, black activism was necessary to compel the federal government to implement the decision and extend its principles to all areas of public life rather than simply in schools” (Foner/Garraty 1). Blacks had little rights and would not rest until they were presented with justice. They fought for basic rights, the category of which education falls in to. Also according to the website, History, “Although some whites reacted negatively to the spreading protests of 1963, King’s linkage of black militancy and idealism helped bring about passage of the Civil Rights Act of 1964. This legislation outlawed segregation in public facilities and racial discrimination in employment and education. In addition to blacks, women and other victims of discrimination benefited from the act” (Foner/Garraty 1). Eventually, the persistency and bravery of the African-American civil rights activists, known as the National Association for the Advancement of Colored People (NAACP), helped reach better conditions for blacks, especially in the classroom, and all other discriminated people throughout the United States. It took many yearsAfrican-Americans now could attend school without fear of being discriminated against, and those that had been fighting for years could be at ease. Education for African-Americans was hindered due to segregation and discrimination, but the strength and bravery of certain blacks helped achieve eventual social equality in public facilities and schools in the 1930s. It started out as fearful children in poor schools due to the intense discrimination they faced from whites, then grew into the fight for equality by valiant and willing African-Americans, eventually reaching not only educational equality but social equality as well. Basic human rights should not be determined by race or any other differences. In the United States Declaration of Independence, it clearly states, “All men are created equal, they are endowed by their creator with certain unalienable rights, which among those are life, liberty, and the pursuit of happiness.” No one should be judged and discriminated for their differences. All people are equal, no matter their race, not only in the classroom but in every aspect of life. Segregation has been an issue circulating the Earth for centuries. In the U.S. particularly, it became a greater issue in the twentieth century. Discrimination was common and it grew to be political. While laws have been established to prevent this issue, it still persists today in society. This has always been a problem that unsettled me, so I decided to do further research on the topic.